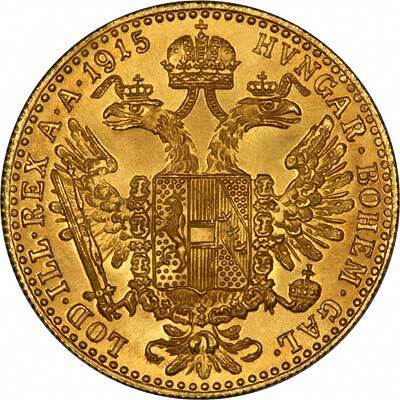 The first fact to note about the Austrian 1 Ducat of 1915, is that it was not minted in 1915! 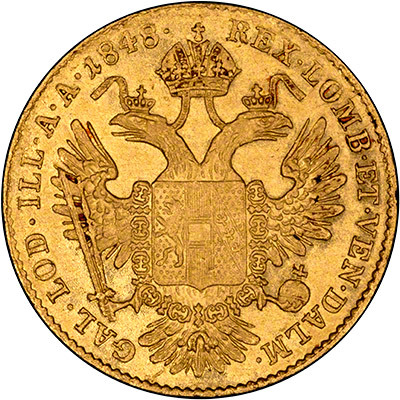 Ducats were gold coins, and also units of account, formerly used in most European countries; including Holland, Russia, Austria, and Sweden. 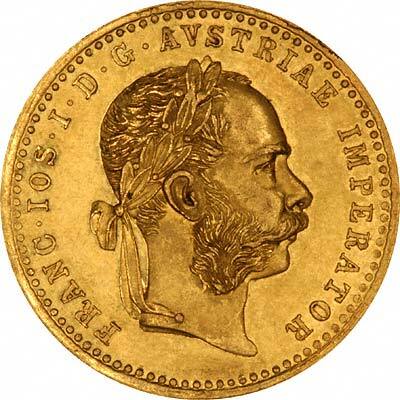 The value of a ducat was generally about 9s. 4d, that is nine shillings and fourpence. There was also an Italian ducat silver coin , value about 3s. 6d. According to The Oxford English Dictionary, the first Ducat was a silver coin issued in 1140 by Roger II of Sicily, as Duke of Apulia. 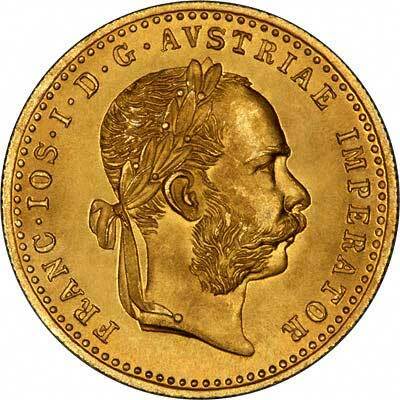 In 1284, the first gold ducat, also called a zecchino d'oro, was struck at Venice under the doge John Dandolo. This coin, worth about 9s., bears on one side figures of St. Mark and the Doge, and on the other a figure of Christ with the legend 'Sit tibi Christe datus quem tu regis iste ducatus'; this, though it did not originate, may have contributed to spread the name, which was subsequently. 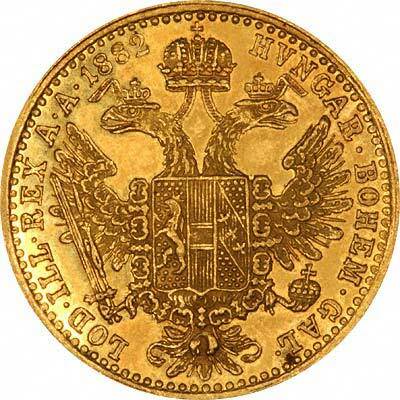 applied to the gold coins of various European countries. 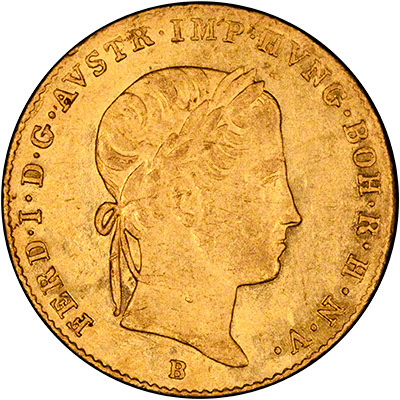 Also after the death of Maria Theresia in 1780, the very famous Maria Theresa Thaler continued to be issued bearing her portrait and the date 1780. It will be noticed from our table that the weight, and fine gold content changed in the eighteenth century. For a period of over seventy years, two slightly different specifications were used. However it can also be seen that the weight change is only minimal, almost negligable, but we show it for sake of accuracy.